Changing Women’s Lives is the first truly comprehensive biography of Dame Rosemary Murray (1913-2004), one of England’s earliest and most impressive female scientists. Murray was one of the first women at Oxford to achieve a PhD in chemistry, before beginning her academic career as a lecturer at Royal Holloway College. After the start of World War II, Murray struck out on a new leadership path by enlisting in the Women’s Royal Naval Service, where she served from 1942 to 1946, reaching the rank of Chief Officer. After the war, Murray taught chemistry at the University of Cambridge, where she became interested in women’s education after witnessing a long battle over women’s rights to university degrees. She poured her energy into New Hall, now aptly named Murray Edwards College, where she taught and became president before eventually moving on to become the first female vice-chancellor of Cambridge. 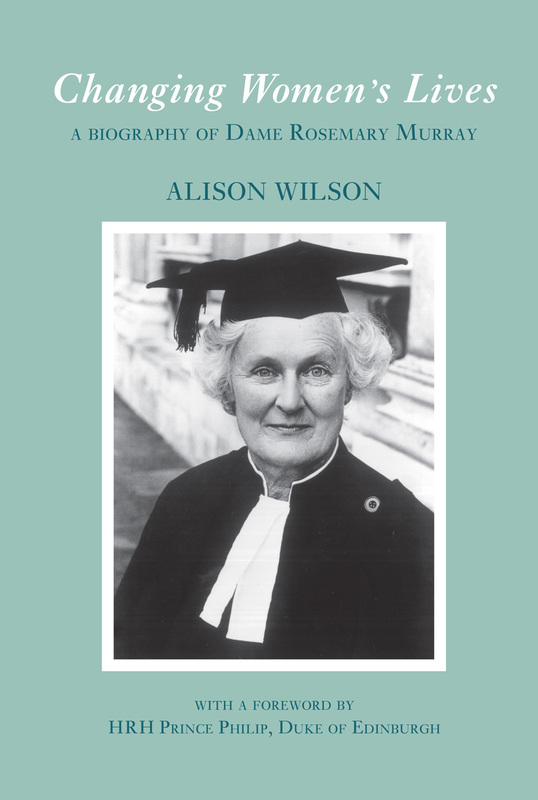 Incorporating extensive interviews that Alison Wilson conducted with Murray, Changing Women’s Lives is a powerful and inspiring look at one woman’s struggle for gender equality in England’s educational system. With a foreword by HRH Prince Philip, Duke of Edinburgh, Changing Women’s Lives provides a fascinating look at one of the twentieth century’s most influential chemists and educators.